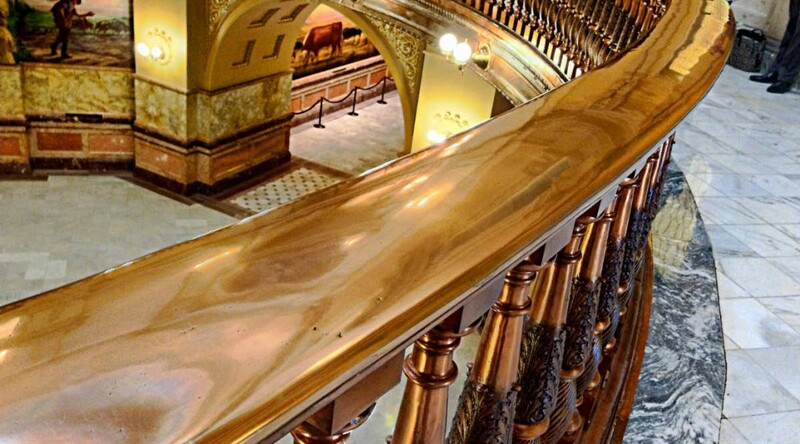 From the office of Kansas House of Representatives Speaker Ron Ryckman, here are committee assignments for the 2019 session of the Kansas Legislature. The session starts Monday January 14, 2019. Appropriations (112-N): Troy Waymaster, Chair; Kyle Hoffman, Vice Chair; Kathy Wolfe Moore, Ranking Minority; John Alcala; Barbara Ballard; Tom Burroughs; Sydney Carlin; Will Carpenter; J.R. Claeys; Susan Concannon; Willie Dove; Shannon Francis; Henry Helgerson; Steven Johnson; Brenda Landwehr; Stephen Owens; Brett Parker; Richard Proehl; Ken Rahjes; Brad Ralph; Bill Sutton; Sean Tarwater; and Kristey Williams. Federal and State Affairs (346-S): John Barker, Chair; Francis Awerkamp, Vice Chair; Louis Ruiz, Ranking Minority; Tory Arnberger; Jesse Burris; Blake Carpenter; Stephanie Clayton; John Eplee; Renee Erickson; Broderick Henderson; Boog Highberger; Michael Houser; Susan Humphries; Trevor Jacobs; Jim Karleskint; Jan Kessinger; Les Mason; Nancy Lusk; John Resman; Eric Smith; Jerry Stogsdill; Adam Thomas; and Brandon Woodard. Rural Revitalization (582-N): Don Hineman, Chair; Adam Smith, Vice Chair; Jason Probst, Ranking Minority; Dave Baker; Ken Collins; Owen Donohoe; Cheryl Helmer; Larry Hibbard; Ron Highland; Cindy Holscher; Tim Hodge; Eileen Horn; Russ Jennings; Monica Murnan; Bill Pannbacker; Jene Vickrey; and Paul Waggoner. Energy, Utilities, and Telecommunications (T/Th) (281-N): Joe Seiwert, Chair; Mark Schreiber, Vice Chair; Annie Kuether, Ranking Minority; Emil Bergquist; John Carmichael; Ken Corbet; Tom Cox; Leo Delperdang; Stan Frownfelter; Randy Garber; Jim Gartner; Nick Hoheisel; Marty Long; Cindy Neighbor; Mark Samsel; Jack Thimesch; and Kellie Warren. Financial Institutions and Pensions (M/W) (281-N): Jim Kelly, Chair; Boyd Orr, Vice Chair; Gail Finney, Ranking Minority; David Benson; Doug Blex; Suzi Carlson; Tom Cox; Leo Delperdang; Brenda Dietrich; Stan Frownfelter; Megan Lynn; Leonard Mastroni; Bill Rhiley; John Toplikar; Barb Wasinger; Virgil Weigel; and Rui Xu. Local Government (M/W) (218-N): Kent Thompson, Chair; Emil Bergquist, Vice Chair; Pam Curtis, Ranking Minority; Mike Amyx; Elizabeth Bishop; Michael Capps; Lonnie Clark; Charlotte Esau; Ron Howard; Greg Lewis; Marty Long; J.C. Moore; and Jarrod Ousley. Veterans (T/Th) (218-N): Lonnie Clark, Chair; Ron Ellis, Vice Chair; Virgil Weigel, Ranking Minority; Chris Croft; Diana Dierks; Brenda Dietrich; David French; Ron Howard; Tom Phillips; Jeff Pittman; Susan Ruiz; Ponka-We Victors; and John Wheeler. Agriculture and Natural Resources Budget (142-S): Willie Dove, Chair; Larry Hibbard, Vice Chair; Sydney Carlin, Ranking Minority; Lonnie Clark; Jim Gartner; Trevor Jacobs; Greg Lewis; Boyd Orr; and 58th House District Representative. Children and Seniors (346-S): Susan Concannon, Chair; Susan Humphries, Vice Chair; Jarrod Ousley, Ranking Minority; Suzi Carlson; Diana Dierks; Charlotte Esau; Randy Garber; Leonard Mastroni; Nancy Lusk; Cindy Neighbor; Bill Rhiley; Susan Ruiz; and Paul Waggoner. Commerce, Labor, and Economic Development (112-N): Sean Tarwater, Chair; Ken Corbet, Vice Chair; Stan Frownfelter, Ranking Minority; Tom Burroughs; Will Carpenter; Chris Croft; Pam Curtis; Ron Highland; Don Hineman; Kyle Hoffman; Jan Kessinger; Marty Long; Les Mason; Jason Probst; Brad Ralph; Louis Ruiz; and Kristey Williams. Corrections/Juvenile Justice (152-S): Russ Jennings, Chair; Leo Delperdang, Vice Chair; Boog Highberger, Ranking Minority; John Carmichael; David French; Annie Kuether; Stephen Owens; Fred Patton; Bill Pannbacker; John Resman; Eric Smith; Virgil Weigel; and John Wheeler. Health and Human Services (546-S): Brenda Landwehr, Chair; John Eplee, Vice Chair; Monica Murnan, Ranking Minority; Tory Arnberger; John Barker; Emil Bergquist; Elizabeth Bishop; Doug Blex; Ken Collins; Ron Ellis; Broderick Henderson; Cindy Holscher; Eileen Horn; Ron Howard; Jim Kelly; Megan Lynn; and Kellie Warren. Higher Education Budget (281-N): Ken Rahjes, Chair; Tom Phillips, Vice Chair; Brandon Whipple, Ranking Minority; Jesse Burris; Blake Carpenter; J.C. Moore; Brett Parker; Barb Wasinger; and Brandon Woodard. Transportation (582-N): Richard Proehl, Chair; Jack Thimesch, Vice Chair; Henry Helgerson, Ranking Minority; Francis Awerkamp; Dave Baker; Barbara Ballard; J.R. Claeys; Tom Cox; Shannon Francis; Nick Hoheisel; Michael Houser; KC Ohaebosim; Jeff Pittman; Joe Seiwert; Bill Sutton; Kent Thompson; and Ponka-We Victors. Agriculture (582-N): Ron Highland, Chair; Eric Smith, Vice Chair; Sydney Carlin, Ranking Minority; Doug Blex; Larry Hibbard; Eileen Horn; Trevor Jacobs; Jim Karleskint; Greg Lewis; Boyd Orr; Bill Pannbacker; Jason Probst; Mark Schreiber; Joe Seiwert; Kent Thompson; Virgil Weigel; and Rui Xu. General Government Budget (281-N): J.R. Claeys, Chair; Tory Arnberger, Vice Chair; Tom Burroughs, Ranking Minority; Mike Amyx; Leo Delperdang; David French; Cheryl Helmer; Broderick Henderson; and Marty Long. Susan Humphries; Russ Jennings; Annie Kuether; KC Ohaebosim; Stephen Owens; Mark Samsel; Kellie Warren; and John Wheeler. K-12 Education Budget (546-S): Kristey Williams, Chair; Kyle Hoffman, Vice Chair; Valdenia Winn, Ranking Minority; Brenda Dietrich; Renee Erickson; Cindy Holscher; Steve Huebert; Brenda Landwehr; Nancy Lusk; Adam Smith; Sean Tarwater; Adam Thomas; and Jim Ward. Social Services Budget (144-S): Will Carpenter, Chair; Leonard Mastroni, Vice Chair; Barbara Ballard, Ranking Minority; Suzi Carlson; Owen Donohoe; Ron Howard; Megan Lynn; Monica Murnan; and Susan Ruiz. Taxation (112-N): Steven Johnson, Chair; Les Mason, Vice Chair; Jim Gartner, Ranking Minority; John Alcala; Dave Baker; John Barker; Stephanie Clayton; Susan Concannon; Ken Corbet; Chris Croft; John Eplee; Henry Helgerson; Don Hineman; Jim Kelly; Tom Phillips; Richard Proehl; Ken Rahjes; Jerry Stogsdill; Jack Thimesch; John Toplikar; Barb Wasinger; Kathy Wolfe Moore; and 58th House District Representative. Transportation and Public Safety Budget (142-S): Shannon Francis, Chair; John Resman, Vice Chair; Jeff Pittman, Ranking Minority; David Benson; Ron Ellis; Charlotte Esau; Michael Houser; Jan Kessinger; and Ponka-We Victors. Elections (T/Th) (212B-N): Bill Sutton, Chair; Blake Carpenter, Vice Chair; Brett Parker, Ranking Minority; Frances Awerkamp; Lonnie Clark; Ken Collins; Willie Dove; Tim Hodge; J.C. Moore, Jarrod Ousley; Bill Rhiley; Paul Waggoner; and Brandon Whipple. Insurance (M/W) (212B-N): Jene Vickrey, Chair; Tom Cox, Vice Chair; Cindy Neighbor, Ranking Minority; Francis Awerkamp; Elizabeth Bishop; Michael Capps; Blake Carpenter; Ken Collins; Diana Dierks; Willie Dove; Gail Finney; Stan Frownfelter; J.C. Moore; Bill Rhiley; Bill Sutton; Paul Waggoner; and Brandon Woodard.